A pair of gold Santa Glasses with small frame, a classic half-moon design and clear lenses to complete any Santa Costume this Christmas. This pair of Santa Glasses is perfect to complete a classic Santa Costume this Christmas. 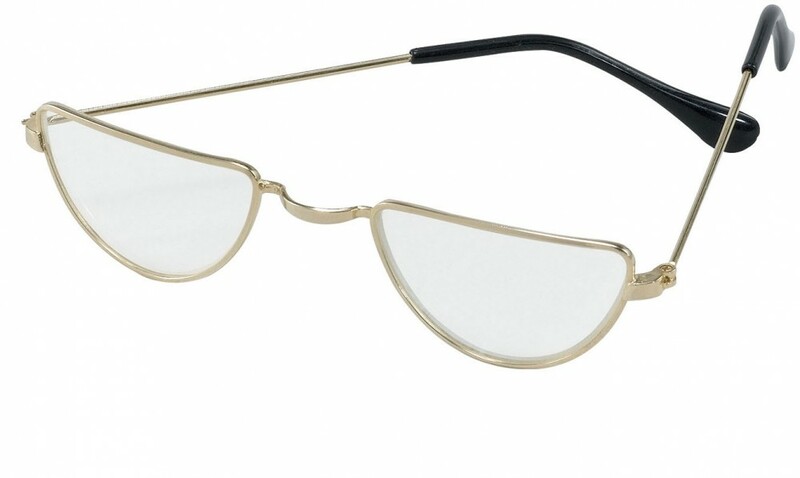 The glasses have a small gold frame which measures approximately 11cm across the front, with the lenses measuring 3cm x 5cm. The arms arm also in gold with clear plastic tips for comfort. A classic pair of Santa Glasses which provide the perfect finishing touch to create your Santa Costume. One size to fit most (Adults).